Our Immigration Advisers are all licensed by the Immigration Advisers Authority (IAA) and work by the IAA Code of Conduct and the Immigration Advisers’ competency standards. With years of practical and professional experience, you can be assured they will handle your visa application in the best possible way. Click on each advisers’ IAA logo to see their listing on the Immigration Advisers Authority website. After graduating from Otago University in Economics and Chemistry, Sarah started work within the government immigration department and it was here that she learnt the inside assessment process, rigid immigration procedures and how to best apply immigration policy to any application. 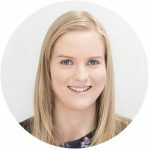 After gaining this invaluable experience, Sarah joined the private sector as a New Zealand immigration consultant and has since been helping migrants with all their immigration requirements to achieve successful visa outcomes. You will work closely with Sarah to devise a clear migration path that best suits you and your family, at which point New Zealand Shores will manage the immigration process through to successful completion. Sarah is an avid sports fan and when not playing sport she can be found like most kiwis, at the beach with family and friends. Allan has been working within Immigration since 2009. Prior to this he worked in the field of Information Technology specialising in IT process consultancy and Project Management. He has a double degree at Auckland University in Commerce and Science along with a Graduate Certificate in New Zealand Immigration Advice. He is a well accustomed traveller, living in the UK for four years, along with extensive travelling across 4/5 continents following his passion for surfing. Allan has a great appreciation for the relaxed New Zealand lifestyle and aims to adopt this within his outlook on life. Sporting wise, Allan has a love of the ocean and goes fishing, diving and surfing at every opportunity. Allan has also represented New Zealand in the international squash arena for a number of years. Charlotte is a fully licensed immigration adviser with New Zealand Shores. She holds a Bachelor of Communication Studies from the University of Waikato and graduate certificate in New Zealand Immigration advice. Charlotte has been working very closely with Sarah over the past few years with managing client cases and providing Immigration Advice. 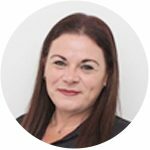 With a background in Sales, Charlotte is client focused and has enjoys interacting with her clients and seeing the rewards and enjoyment from her clients successfully migrating to New Zealand. Having grown up in the beachside city of Tauranga, Charlotte has a strong love of the outdoors and enjoys the laid back kiwi lifestyle. Tobias has a graduate certificate in New Zealand Immigration Advice, Bachelor of Arts (Philosophy) from Otago University, a Graduate Diploma in Teaching and Learning from Canterbury University and a Post-Graduate Diploma in Second Language Teaching from Massey University. 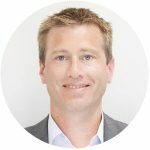 Tobias has extensive background over the last 15 years in education within NZ, the UK and in Japan. He speaks fluent Japanese and has great understanding of different cultures. In 2008, he migrated back to New Zealand with his Japanese partner. In his spare time, Tobias has developed a love of sailing, learned about DIY and discovered fatherhood. Eddie is a fully licensed adviser since 2013 and is well experienced in New Zealand immigration. He has successfully represented numerous clients in their visa matters. Eddie completed the Graduate Certificate in New Zealand Immigration Advice in 2013. He holds a Bachelor’s degree in Computer applications and Post graduate qualification in business and IT. He has extensive work experience in diverse fields – banking, business research, travel and immigration. He is fluent in English, Hindi and Punjabi languages. In his spare time, he enjoys cooking and loves spending time with family and friends. 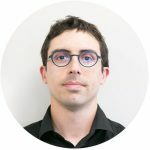 A former New Zealand Shores client, Fabien settled in New Zealand in 2009, after several years studying and working abroad, and a gap year backpacking across Asia. 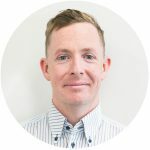 With a Master’s degree in foreign languages, communication and web interfaces, he has been working towards developing social media and improving the user experience on New Zealand Shores’ website, before becoming a Licensed Immigration Adviser. Passionate about photography, he has travelled across New Zealand extensively and fallen in love with our beautiful country. 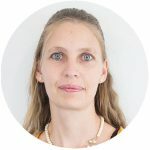 Rachel comes with over 9 years working for Immigration New Zealand as a Case Officer so has great knowledge of whole process, along with a further 3 years working in a professional immigration consulting practice. Currently in her final semester studying the Post Graduate Diploma in New Zealand Immigration Advice and holds an IAA Provisional Licence. 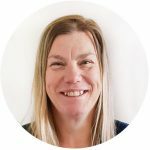 Rachel has recently relocated back to Hamilton with her partner and children. In her spare time, she enjoys being creative with a passion for art and design. Julia moved to New Zealand in 2007 from the UK and has been an immigration adviser since 2008. She has just become a New Zealand citizen along with her family and is proud to call herself a Kiwi! Having been through the migration process she understands the journey from both a client and an immigration perspective and loves helping others achieve the same goal. Since living in New Zealand she has embraced the outdoors and takes full advantage of the region to do mountain biking, kayaking and in winter, sled-dog racing with her huskies. Ram is a seasoned professional having rich experience in Career & Education Counselling. 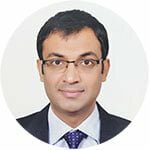 Based out of Delhi, India he has been guiding professionals & students to choose among various career and education opportunities for more than 10 years now. He holds a Bachelor Degree in Commerce and is a Post Graduate in Finance and Marketing. 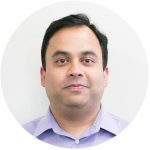 He is fluent in English & Hindi and has work experience in diverse fields like IT, Banking, Consulting and Data Analytics. He is fond of Cricket and during his free time loves travelling and exploring new places. Sharon comes with a wealth of experience working within large ICT and Telecommunications companies. She has extensive background in client management, service delivery and financial management. Sharon works closely with the advisers to manage the client cases for New Zealand Shores. In her spare time, Sharon spends most weekends at her Whangamata beach house enjoying the great outdoors of the Coromandel. The passion with helping international students has been deeply rooted in her mind since she received assistance and help before she started her study in Scotland. After graduating from University of Aberdeen in Drug Discovery and Development, Winnie started working as an IELTS teacher in one of the most reputable training organisations in China. The plan coming to NZ for as a relaxing gap year has been infinitely extended by the gorgeous scenery and laidback lifestyle in NZ. In order not to leave her professionalism behind, Winnie continued to gain her Postgraduate Diploma in Global Studies in Education at the University of Waikato. And then she worked at the International Department in one NZ Polytechnic Institution, assisting international students with visa issues. It was here Winnie further realized her interest is more to helping people study, work and migrate to NZ. In her spare time, Winnie enjoys reading, drawing and painting and of course exploring exotic culture in different countries. Mariët is originally from South Africa and recently migrated to New Zealand. She has extensive work experience in Residential and Commercial Property Law. Going through the migration process herself, she realised her interest is to help other people achieving their own migration goals. Mariët works closely with Licensed Advisers, helping with client cases. In her spare time, Mariët enjoys the great outdoors and exploring new places in New Zealand with her family.